When the city meets the Northumberland countryside, all is not what it seems… what is the news ‘Beyond the End of the Road’? A brand new musical about Northumberland is touring the rural roads of the border county with a show for and about its people. The residents of Shilbottle will be both audiences and participants in the show when it comes to the village on Friday June 23rd. Beyond the End of the Road is performed by a cast of 10 professional actor/musicians to live music inspired by local folk and traditional Northumbrian music. The show also features guest performances from local talent, a community choir and local musicians who will join the end-of-show Ceilidh which will be compared by internationally recognized concertina player and Northumbrian piper, Alistair Anderson. The musical is set in a small, imaginary village called P L A C E where the cast weave their midsummer tale about its residents, their loves, their losses and their deepest secrets. 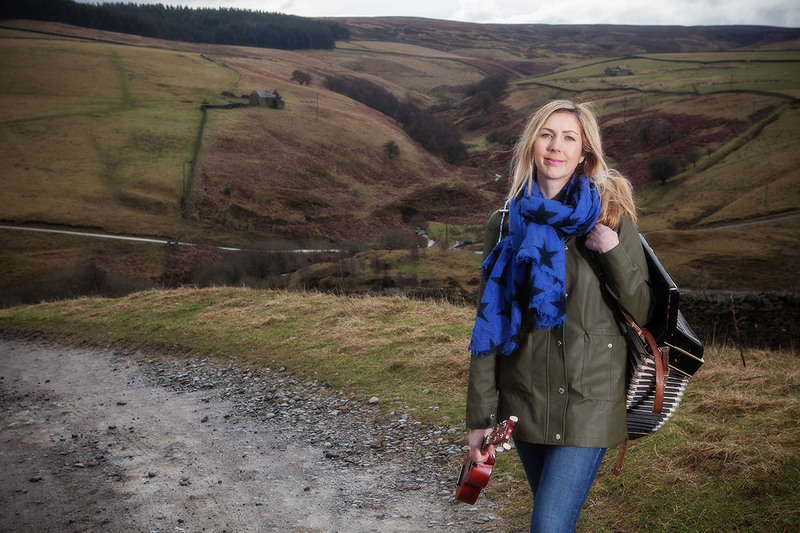 The idea for the show originated from musician Katie Doherty’s move from the city to a hill farm near Blanchland and has been further inspired by the stories, characters and anecdotes from each of the villages it is touring to. November Club, the award-winning, Morpeth based performing arts company, has travelled the county from Norham in the North to Bardon Mill in the west, working with village communities to farm the ideas for the show, making it for and about communities like Shilbottle. The residents of Shilbottle have been heavily involved in the musical from the initial story gathering sessions to drama workshops to find aspiring actors. Families have taken part in a ‘make-and-do’ day to help make bunting to decorate the hall on performance night and the Shilbottle WI will be baking a cake to be shared in the interval. Beyond the End of the Road is produced by November Club in collaboration with Highlights Rural Touring Scheme and will be touring across Northumberland throughout June. Shilbottle Community Hall is one of 10 venues to host this rural, road-show musical which opens at Hexham livestock Auction Mart on 2nd June and ends on Holy Island on 1st July. The tour includes village halls in Norham, Felton, Shilbottle and Bardon Mill & Henshaw – who are all existing partners of Highlights Rural Touring Scheme – and in Kirknewton, Thropton and Whalton village halls as well as a performance at Sage Gateshead. Presented by the November Club.